ControlsStore is an online catalog of UL Listed electrical products for industrial applications. Each product is constructed with quality industrial components from major manufacturers. All assemblies comply with the Underwriters Laboratories UL508A standard for USA (UL) and Canada (ULc). CE approved controls for the European Union (EU) are also available. With unlimited options, low cost, and quick delivery... ControlsStore is the online source for electrical controls. Ordering is easy... Just print out the form and fax, email, phone, or mail in your order. Single Pump Panel: Pump control system designed to control a single pump for liquid transfer applications. It utilizes a single float for draw down control. Applications include irrigation systems, transfer pump, sewage, wastewater, lift stations, pump houses, and pump chambers. Dual Pump Panel: Pump control system designed to control dual pumps for liquid transfer applications. It utilizes two floats for duplex draw down control. Applications include irrigation systems, transfer pump, sewage, wastewater, lift stations, pump houses, and pump chambers. 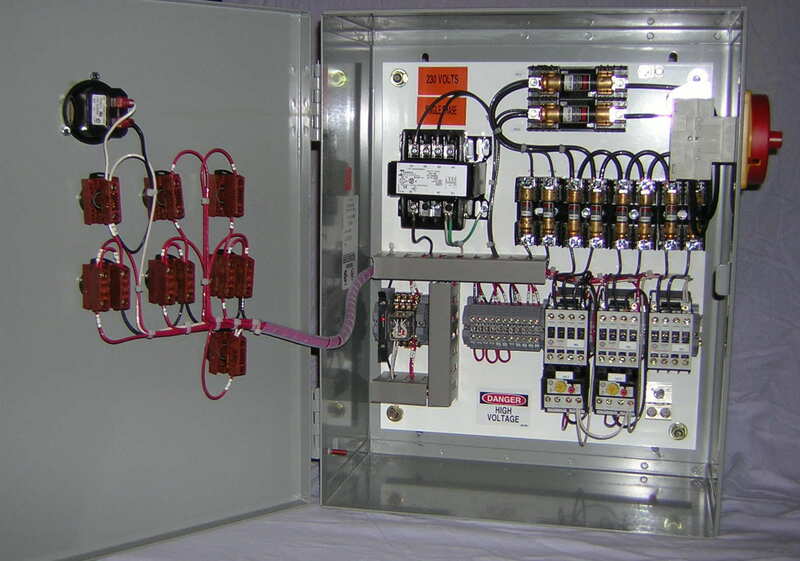 Motor Panel: Control system designed to control motors for air or liquid transfer applications. It contains terminal block inputs for external control of various loads. Applications include blowers, compressors, grinders, conveyors, etc. 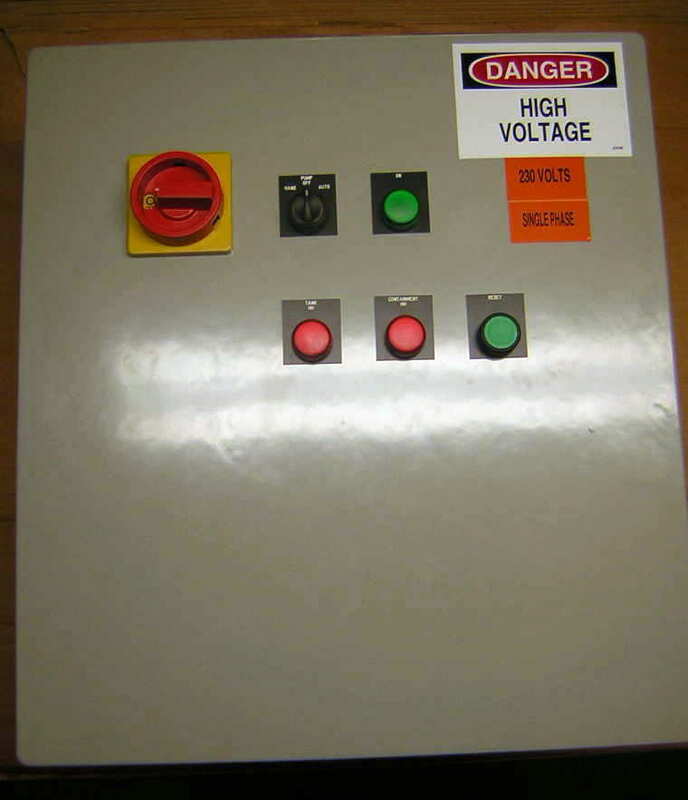 Timed Motor Panel: Control system designed to pulse motors for air or liquid transfer applications. It contains a recycle timer that allows timed control over various loads. Applications include timed dosing in sand filters, irrigation systems, pond aeration, septic systems, blowers, compressors, or any load requiring timed control. Heater Panel: Control system designed to control a heater for process heating applications. It contains a large (1/4 DIN) digital temperature controller and mechanical contactor as safety back up. PLC Panel: Control system designed to link complete flexibility of a programmable logic controller with a UL Listed assembly. The Allen Bradley PLC is known as the industry standard for PLCs. Relays: Alternating relay for alternating duplex, triplex, quadraplex, pentaplex and hexaplex controls. Each comes in two models for wide power supply requirements. Disconnect Switch: Main disconnect switch designed to meet national electrical code as a fusible main disconnect for electrical motor control applications. Each contains a NEMA 4X 600 Vac rated disconnect with padlock lockout safety features. 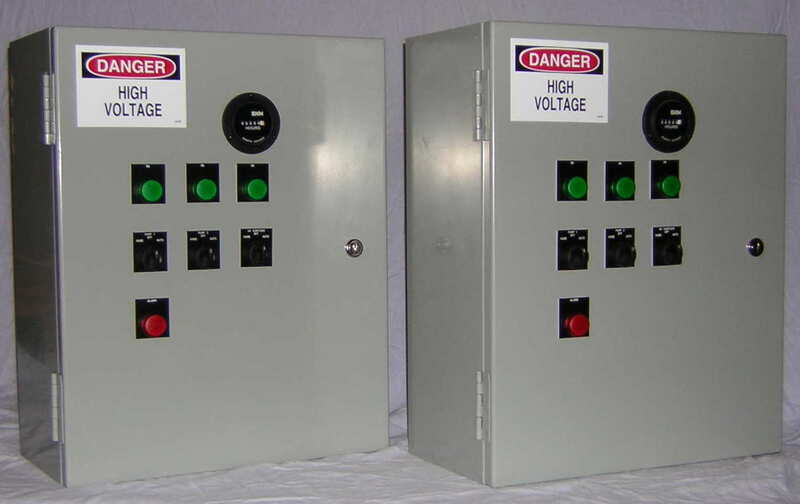 Other products are custom designed in our panel shop for each specific customer application...see ControlPanelQuote.com for more information.